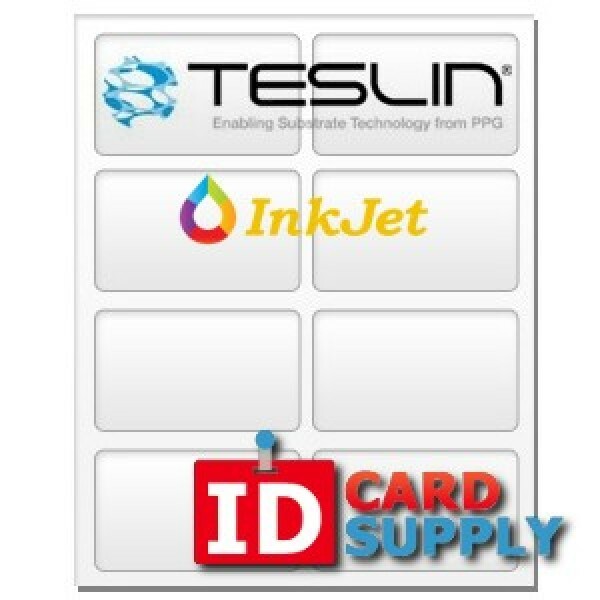 This Teslin® synthetic paper for Inkjet printers brought to you by IDCardSupply is the world's most widely used synthetic paper for creating ID cards. These sheets are micro-perforated, and contain 8 easy to punch out 10 mil ID cards. That means just purchasing one sheet of this 8-up paper will allow you to create 8 ID cards!